All too often people avoid buying life insurance because they believe they cannot afford it. However, most people overestimate what life insurance premiums will be by nearly three times. The following article will cover money saving tips when purchasing life insurance so that you can sleep easier knowing your family is taken care of financially should you die unexpectedly. You might also be interested in checking out our best life insurance rates by age article, which offers 6 charts detailing the cost of life insurance. Life insurance comes in two main flavors: term vs whole life. One of the best ways to save money on your life insurance premium is to purchase term life insurance. Here is a brief description of each type of life insurance. Term life insurance is designed to last for the term of the policy. Usually the term can be anywhere from 10 years up to 30 year term life insurance. You can even find a 35 year term policy with a return of premium rider. Typically the premium is fixed for the duration of the term with the ability to renew on an annual basis. However, due to the fact that the policy ends upon a specified time (the term) your premium will be less than a product that lasts the rest of your life, such as whole or universal life insurance. Whole life insurance lasts the rest of your life. The policy builds cash value. Typically the premium and face amount are fixed for the life of the primary insured. You can borrow against the cash reserve. Any interest owed on the money you borrowed against will typically be repaid from the death benefit when you die. And for those who want permanent coverage, single premium whole life insurance saves you on the cost of protection. Universal life insurance is a permanent policy. It is very similar to whole life but has more flexibility when it comes to the payment. There are three main types of Universal Life: Guaranteed, Indexed, and Variable. Guaranteed Universal Life typically has a fixed premium amount. Indexed Universal Life has the premium you paid tied directly to a benchmark, such as the stock market. So if the market does well you pay less and vice versa. Variable Universal Life allows the owner to invest the policy into various investment vehicles which can make the premium and cash reserve go down or up depending on the performance of the vehicle invested in. You might need life insurance for the rest of your life. In that case, term will not be the best choice. However, you cannot beat cheap term life insurance for the savings it will provide compared to Universal or Whole Life. A word of advice when choosing the type of life insurance for you: You need to consider how much life insurance you need today, not some hypothetical day in the future. All too often people get hung up on buying term life insurance because they are too fixated on what may or may not happen once the term expires. The problem is this misses the point of term life insurance. Term should be used to meet your present needs. For example, if you know your family needs $500,000 of life insurance proceeds to pay off the mortgage then you should get $500,000 of coverage. What tends to happen is people will purchase $100,000 of whole life instead of the $500,000 of term they actually need because they are too focused on the term expiring and “then what?” But consider if that person dies in a few years or few months from now. That $100,000 is not going to do the job of covering the mortgage. And further, how much will $100,000 be worth in 30-40 years when the insured actually dies? That is why a healthy husband or wife age 40 and younger should consider a million dollars of life insurance. The idea is to buy the amount of insurance you need in case you die today and deal with the future when it comes. Another great way to save money on the cost of life insurance is to have your beneficiary pay your life insurance premium. Often older clients will be saddled with a high premium that makes paying life insurance painful. As a result, many people will simply let the life insurance lapse because it does not fit into the budget. But a good idea would be to see if your beneficiary will help or completely pay the premium. After all, they are the one who stands to benefit from the policy. Why shouldn’t they help pay it? An important money saving tip on life insurance is to know the requirements of getting a non tobacco rate class. As you may already know, smoking and life insurance are poor bedfellows. Typically the premium is three to five times higher for a smoker compared to a non smoker. In order to save on your life insurance you will need to quit for at least one year. There is a company that will offer a preferred rate class after one year of no tobacco use. But you need to quit for at least one year to qualify for a non tobacco rate. For those of you who use other forms of tobacco besides cigarettes than make sure you apply with a company that has favorable underwriting for tobacco products other than cigarettes.We can help you find the most appropriate company based on your specific tobacco product. And if your tobacco product happens to be marijuana, we can help you find you coverage for that as well. Easier said than done, we know. However, there are many steps that can be taken today that will help you qualify for a much better rate class down the road. And going from one rate class to another can save you between 10-25% on your premium. In fact, the difference between a preferred plus rate class and a standard rate class is typically 200%. The two main contributors to getting healthy are diet and exercise. Think baby steps. You don’t need to run a marathon or go vegan. Instead, take small steps to improving your diet and fitness. For example, you could cut down on the fast food you eat or take a evening stroll around the neighborhood in the evening. You would be amazed at how a few small changes can make a huge difference over time. If you are currently working on getting healthier but you need life insurance today, consider a cheap term life insurance policy. A 10 or 15 year term will provide ample term length and you can simply re-apply for life insurance once you have reached your desired health goals. However, you will be paying a lower premium rather than locking into a 30 year term or whole life policy. Here is an often overlooked tip for saving money when purchasing life insurance that adds up over the years. You receive price breaks by paying less frequently. For example, the best way to buy life insurance is with a paid up policy where you put down a large sum of money in order to purchase an even larger death benefit. This is a great deal for some who have a lot of liquidity but for those of us who do not have an extra $50,000 or more lying around, there are still ways to save money on life insurance. The lowest premium is the annual premium. Paying your premium once a year will garner you the most savings. Next is to pay semi-annual, then monthly and then quarterly. Yes, quarterly is the most expensive way to pay for your life insurance. Age is the primary factor that a life insurance carrier will consider when determining your premium. The reason is, the actuarial tables that an underwriter looks at considers you life expectancy above all else. Therefore, the older you are the closer you are to that inevitable day. Therefore, the younger you are the more money you will save on your life insurance. For all you 20,30 and 40 year olds looking for cheap term life insurance, there really is not time like the present to lock into a policy. Once you get into your 50s life insurance premiums jump up year over year. We put together a list of dangerous hobbies and life insurance. Not all of these hobbies are on the life insurance red flag list but there is a real danger that your life might abruptly end if you engage in any of these. The dangerous hobbies that do raise a red flag for life insurance companies will either make your premium go up, require an exclusion, or cause your application to be declined. And you will have to wait on most applications two years after quitting the hobby in order to qualify if you do engage in specific dangerous hobbies. Here is another great tip to save money when buying life insurance. If you are really pressed for cash because your monthly budget is precarious close to swamping you but you want life insurance to protect your family’s income source then consider a shorter term length. There are two distinct advantages to doing so. One advantage to a shorter term length is the premium will be less because the chances of you dying in 10 years or 15 years is less than you dying in the next 30 years. Also, most term policies come with an additional life insurance rider called a conversion option that will allow you to convert all or a portion of your policy into a permanent policy at your original rate class. That way, even if you do come down with some sort of condition that precludes you from life insurance, you can simply convert your term policy to a permanent policy with no proof of insurability. Further, you can always add additional coverage or buy a new policy when you are not so financially strapped but at least you have some life insurance in the interim. Also, be aware that some life insurance carriers offer term coverage for every year from 15-30. That means 16, 17, 18, 19, and so on. So you can tailor a policy to your specific need. If you have a divorce settlement requiring term life insurance until your youngest is age 18 and they are currently 2, why buy a 20 year term when you can buy a 16 year cheap term life insurance policy? Another example is applying for life insurance to cover a business or SBA loan. Not only do you want a term to match the loan but you should also consider collateral assignment so that the bank does not receive the entire proceed of your death benefit! Some life insurance companies will use your nearest age to determine your life insurance “age”. How this works is the life insurance company will date you at whichever age you are closer to. So if someone 44 years old was born in August and they apply for life insurance in March, that person is one year older for life insurance purposes because they are nearer to turning 45 than 44. Now you can backdate the policy to save age but you will end up paying more premium up front to do so and it is not in everyone’s best interest to backdate although at times it makes sense. Other companies will use your actual age. That means as long as you apply and are approved for life insurance before your birthday than you are your actual age. If you have a birthday during the underwriting period than you are your new age for that insurance carrier. Therefore you would want to make sure you applied with an actual age company with a few weeks or months to spare in order to lock into your current age. The different between the cost for an actual age company versus a nearest age company will probably be a few dollars. However, for longer terms, such as 20 or 30 years, that will amount to thousands of dollars of savings on life insurance premiums. It definitely pays to know which company to choose. Tip: if you’re within 6 months of your next birthday, what is your agent charging you? Don’t know? Did your agent cover actual age versus nearest age? If not, it sounds like you need a new agent. Give us a call today! Different companies have different build charts. Your build is your height and weight allowance that a life insurance company will use to determine your rate class. Another way to say this is that some companies allow for a larger body mass index than others. The key for overweight or big boned clients looking to save on life insurance is to apply with a carrier that has a more liberal build chart. As we mentioned above, the difference between rate classes can save you 10-25% on your premium. That is sizable savings over the life of your insurance. Tip: Are you wondering why you were quoted a preferred rate class and not a preferred plus? It could be because the rate class your agent quoted you is with a carrier who is tighter on build requirements. You might want to get a second opinion! Life insurance companies bundle their policies in much the same way that a company like Costco bundles its food. You receive a price break when you buy more life insurance. Face amounts $0-249,999 are in the lowest band, although some companies have it $0-199,999. The next typical band is $250,000-499,999. There is a price break at $500,000-749,000 and then another price break on cost per units at $750,000-999,999. Another price break on cost per units at $1,000,000-1,249,999. And so on and so on. Therefore, a great way to save on life insurance is to inquire into that specific companies price breaks. You might find that your $700,000 policy actually costs more than a $750,000 policy because the bigger policy had a bigger price break on costs per unit. If every penny counts then this is another awesome tip for saving money when purchasing life insurance. Life insurance companies want to get a complete picture of who the company is offering life insurance to. Therefore, taking an exam offers a company a more complete picture of your health and lifestyle. As a result, exam policies (called “fully underwritten”) are generally less than a no exam policy. For those of you with a fear of needles or that have superior health, there are still affordable life insurance companies available that do not require an exam. It is these instances when the premium is very close or when it makes sense to choose a no exam policy versus an exam because of a potential health issue not yet discovered that a no exam policy can save you a lot of time and money. If your goal is to leave money to your estate then a survivorship life insurance policy might be right up your alley. With a second to die policy the premium is lower, up to 40% lower in some cases, than buying coverage on an individual. The reason is that both spouses have to die for the policy to pay out. But if neither spouse needs money a great way to increase an estate and pay any estate taxes is with a second to die life insurance policy, perhaps in an irrevocable trust. And a second to die policy can be purchased on 2 business partners, siblings, and many other potential scenarios as long as there is an insurable interest. This is a great way to create a business succession plan with life insurance, such as funding a buy sell agreement, or key man business insurance. Adding life insurance riders to your policy will increase your cost. Therefore, if you are considering ways to save the most money on coverage, dispensing with additional riders will help you cut costs. When it comes to ways to save on life insurance premiums one of the best ways is to have options. TermLife2Go works with over 60 top rated life insurance carriers and top rated no medical exam carriers. Many of these carriers have unique niches that cater to specific health conditions or lifestyles. As a result, we can direct our clients towards the best company for them at the best price. It is all about finding the right company for your specific health or lifestyle profile. TermLife2Go has a unique process for obtaining the best deal for our clients. Read more about our 4 step process here. To break it down, we will shop your results if we are not satisfied that the carrier that we placed you with gave you a fair deal. That way you can rest assured that you are getting the best deal at the best price—for you! TermLife2Go is not a call center, nor are we interested in pushing a sale. We’re looking for lifetime customers that will recommend their friends and family to us. This is why we place customer satisfaction above all else.We will save you money on life insurance and find cheap term life insurance for you and your family. 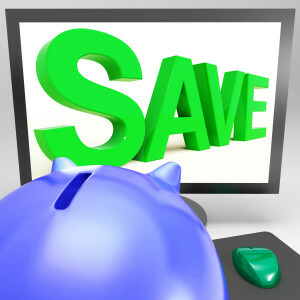 Thank you for reading our article, 16 money saving tips to save money on life insurance. Please leave any comments or questions below. When you apply for life insurance everyone is assessed for coverage. Basically, insurance companies place applicants in categories based on risk. They usually look at things like health and lifestyle choices and those can impact your premium rates. Preferred plus is one of these ratings, and it typically refers to applicants with excellent health, normal weight, height, and no other risk factors when it comes to health risks. Our agents would be happy to speak with you to help you understand the life insurance policy process and answer any other questions you may have. You can contact us at anytime at: 888-234-8376. Next Post: Ten Dangerous Hobbies Life Insurance Companies Hate!